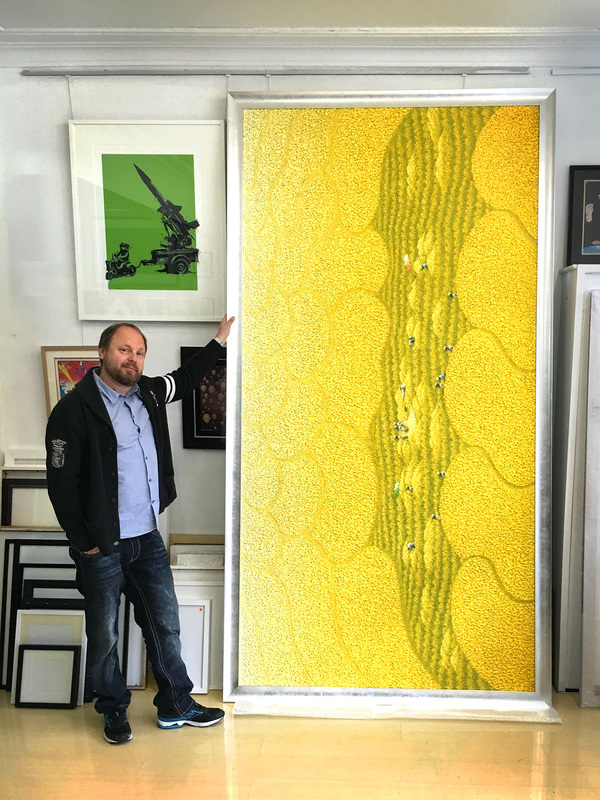 Over the past 30 years I have travelled from Poland, to London and for the last 10 years based myself in Sydney working across various project for some of the world’s leading galleries and artists. My framing experience covers large scale commercial projects including museum framing, office spaces, restaurants, retail, and film and music studios. I also work closely with renowned architects and interior designers. I love modern pop art (as you’ll see from the artwork in the Potts Point store window); this style can be seen in the framing we offer. We offer unique, contemporary and traditional styles of framing reflecting this modern pop art feel in a harmonious flow. 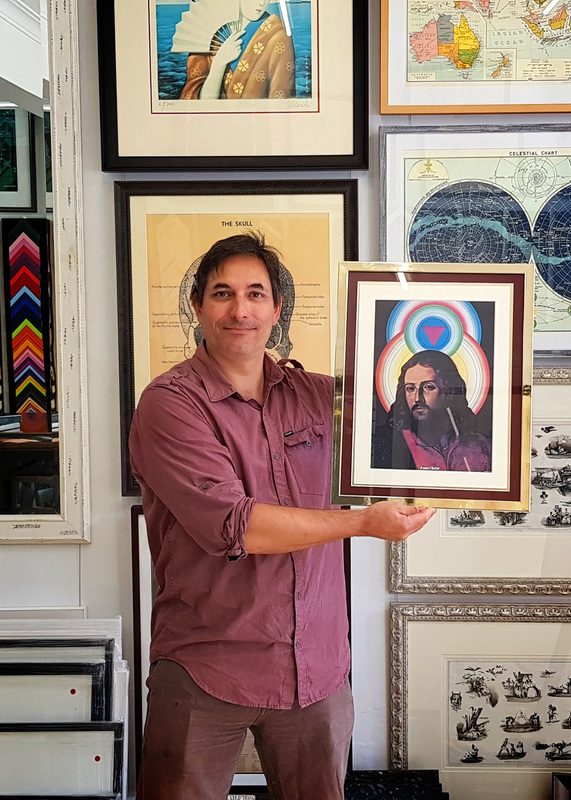 South London charmer with a passion for abstract art and bespoke framing… he’s also had a few A-list celebrity clients in his time. 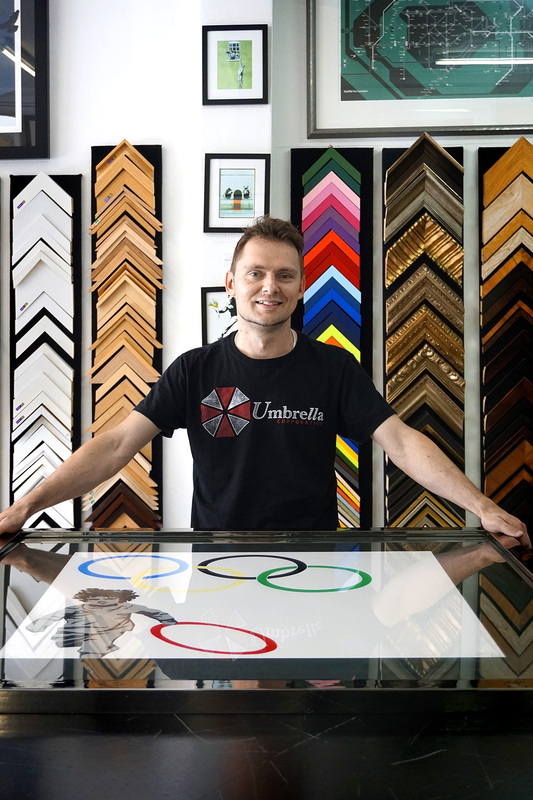 I started framing at 21 years old, now I don’t want to give away my age, but I have over 10 years under my belt in the art and framing industry. Working internationally in stores and galleries across London and Sydney with high value artwork and clientele. I bring a practical and imaginative approach to framing to create quality, custom-made framing designs. From large scale projects to individual pieces I work collaboratively with my clients to ensure the framing produced suits the needs of the work as well as its intended environment. Interests lie in music and film. I am a lover of subculture and visual design. My passion comes from working with customers to create their ideal frame based on their taste and style. I like to work with customers finding a solution for their framing needs based on their budget but also expectations. With over 15 years of experience in the picture framing industry, I have worked on projects big and small. I have an understanding and appreciation for quality and visual effects, as well as an avid interest in problem solving and solution finding. Working at Right Angles Picture Framing has given me an opportunity to expand my knowledge and experience, and has allowed me to share this with others. Nuria, Senior Picture Framer has spend half of her life surrounded by antique furniture and picture frames and the other half underwater, following her Scuba Diving passion. 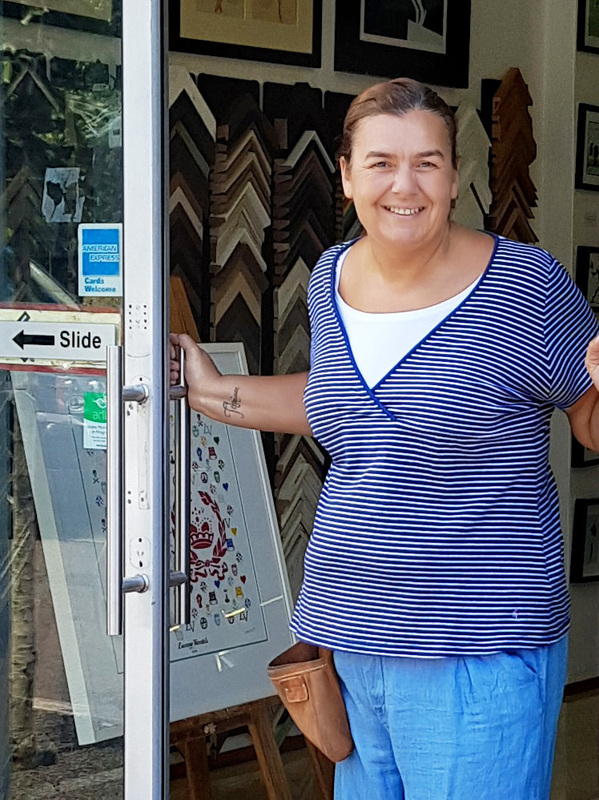 She has studied Antique Furniture Restoration at Leed's College of Art and become a Guild Commended Framer GCFs have a passed a rigorous test, administered by the Fine Art Trade Guild in the UK . I have worked as Picture Framer and a Project Manager in the UK, Spain and now in Australia for over 15 years and I love the conservation side of picture framing. Also, I thoroughly enjoy advising customers on their projects and making them as special and sometimes a "spectacular" as they want them to be.  This business is out there with the best of Sydney in quality, innovation and variety of services, so I feel like a fish on the water working with them. 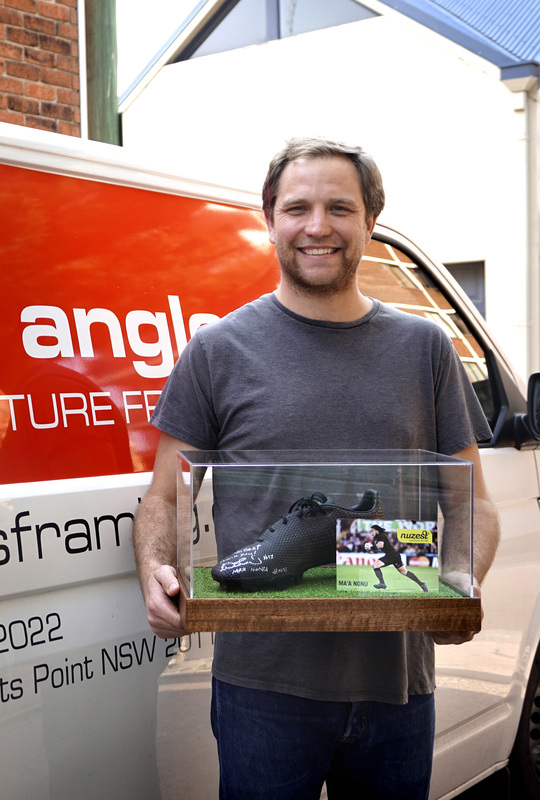 Born in Switzerland and working as a trained artist, Daniel brings his taste for art and design into his framing skills. Holding a Masters degree in Fine Arts from COFA he is an award-winning print-maker and sculptor who has a passion for interior design and decoration. Bringing those skills of design and aesthetics encompasses him with a strong interest in presentation and framing. I first came to Australia to study at the Canberra School of Art in 1996. I have since completed two Masters of Fine Arts at the UNSW Art and Design school in Sydney. As a practising artist I began to frame my own work which led me to pursue a parallel career in picture framing. Having a background as an artist confers me with a very broad understanding of the techniques and mediums used in the creation of artworks. Over the years I have accrued an extensive knowledge about the many aspects of my profession. I am also very interested in interior design and decoration and can confidently advise customers on the best choice of frame for their artwork.